The bones of Jumbo the Elephant were paraded through downtown Sarnia when the “Greatest Show on Earth” came to town. On Sept. 13, 1887 P.T. Barnum brought his world famous circus to Sarnia, and for those who lined the streets and filled the Big Top it was an event never to be forgotten. As prominently advertised in The Observer, the entourage arrived in no less than 79 railroad cars carrying 800 people and animals from around the globe. While labourers set up the Big Tent over three performance rings and a Roman Hippodrome (for “furious” chariot races) the rest of the circus joined an 8 a.m. parade through town from Front Street to the circus grounds. Adults lining the parade route were enthralled by the scene before their eyes, while older children chased the animals, especially the elephants. So captivated were Sarnia’s citizens that many didn’t realize until later that their purses and pockets had been lightened by pickpockets following the circus from town to town. But what a parade! In the end, no one seemed to mind Town Council had to pay one F.B. Badd $86.18 to clean the streets of unclaimed souvenirs left behind by the animals. Two performances were carried out that evening. The three big rings and track allowed for 11 simultaneous acts, including fast-paced animal shows, high-flying trapeze artists, Captain Paul Boyton’s aquatic production, and the “perilous feats” of various stage performers. Admission was 50 cents for adults, 25 cents for children under nine. It’s not known how many people attended, but it is known the Sarnia Street Car Co. and private liveries were jammed throughout the day, and special excursion trains and ferries brought folks in from other communities. When the show came to Port Huron 13 years later it attracted 17,000 patrons. 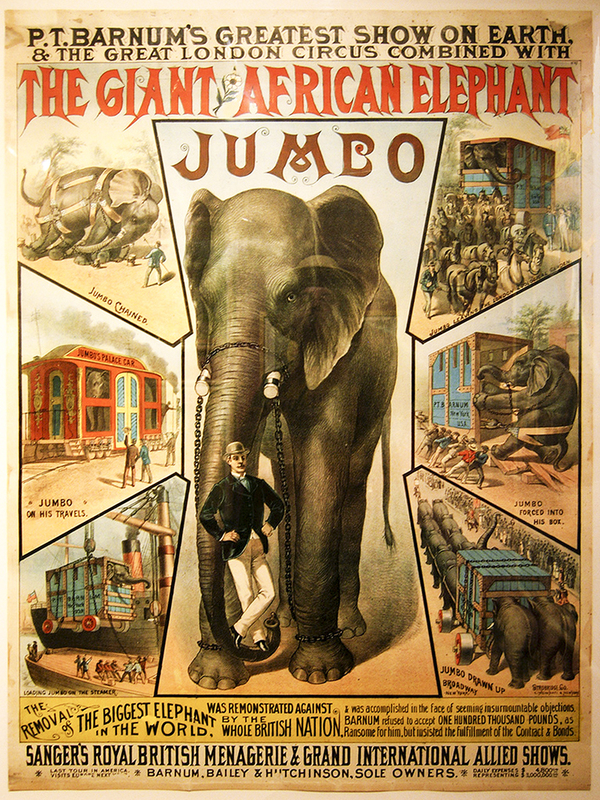 The 1887 Greatest Show on Earth would not be the last circus to come to Sarnia in that era. But for garishness and attraction, P.T.’s show was a act hard to follow.